We have a few exciting things coming up so you won't want to miss any part of this newsletter! Crazy Days- FEB 26-27, 29. 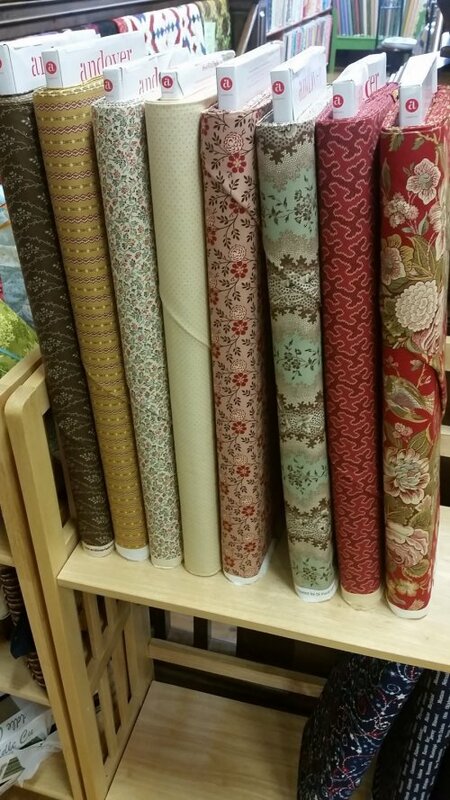 We have a TON of great fabrics that will be on sale in our classroom @ great discounts for three days only. Doors open @ 10am both days! 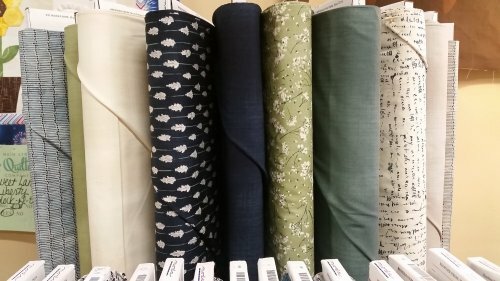 Come get kits, yardage and pre-cuts for a great price! Gwen is Spring Cleaning and going crazy pulling bolts so you will not want to miss out on this! Little House on the Prairie Event- Saturday, March 12 Dennis, from Andover, will be @ MSQCo with a wonderful trunk show of Little House fun! 10:30 am and 1:30 pm. $5- Bring your show and tell of items made with the Little House Fabrics and be entered for a special drawing from our store. Bring your friends, relatives and any living person who loves Little House! Sign up today! 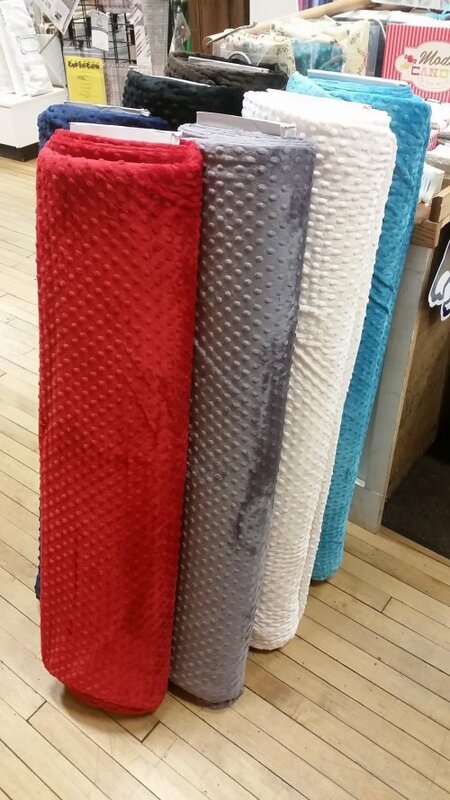 Griz fabric is here and on our shelves. If you didn't get any- stop or call today. It's going fast- We have one bolt left! I received an email recently telling us that the MSU Bobcat fabric has been delayed a little longer due to another bout of heavy rain in Bali. My best guess is that it will be here in 3 weeks. We will start cutting and calling you if you pre-ordered as soon as it is here. We heard yesterday from the company that is providing our America's Garden Block of the Month fabrics. They have shipments stuck in customs and will be delayed in getting our March installment. I know this is a bummer since so many of you are going gang busters on this fun quilt. As soon as the fabric arrives, we will get it cut and let you know it's ready. Finally, Cameron, our Super Tech, had to juggle his busy schedule and will be here next on March 10 and then again on March 25. We will be calling those on our reservation list today. Just wanted you to be aware of his time frame. As you know- he gets machines serviced and spruced up that same weekend when he is here. Please call us for a reservation @ 406-586-6097. Software Club- last Weds Monthly, 12:30-1:30 Software classes for 2016 will be expanding and growing our knowledge of Bernina's Software 7. This class is open for all owners of Software 7 or if you are interested in learning more about the software. Pre-Cut Pot Luck- Last Friday monthly- We will meet the last Friday of each month @ 5:30 pm for a bite and a fun and easy project using pre-cuts! For March- We're making a versitle and fun bag. Bring your 2 1/2" strips and one yard of coordinating fabric. We have the interfacing needed in the store that can be purchased at time of class. F.W.Y.S. Club (FINISH WHAT YOU STARTED)- On select Fridays each month we have staff available in our classroom to help you finish those projects that have been hanging over your head. F.W.Y.S. will be bumped for other classes. Please call ahead and let us know you are coming as space is limited and machines are spoken for quickly. Cost: $10 for classroom use and an extra $5 if you need to use our machine. RIVER ROCK (Neutrals) or RADIANT REFLECTIONS (Brights) 77.5" x 88"
Coming in January - $31.50/month with $30 registration fee due at sign up. Please let us know as space is limited in each colorway. We got our shop kits in and the batiks are gorgeous!! Cannot wait to start on this. There are still a few spaces left in both colorways! Sign up today. 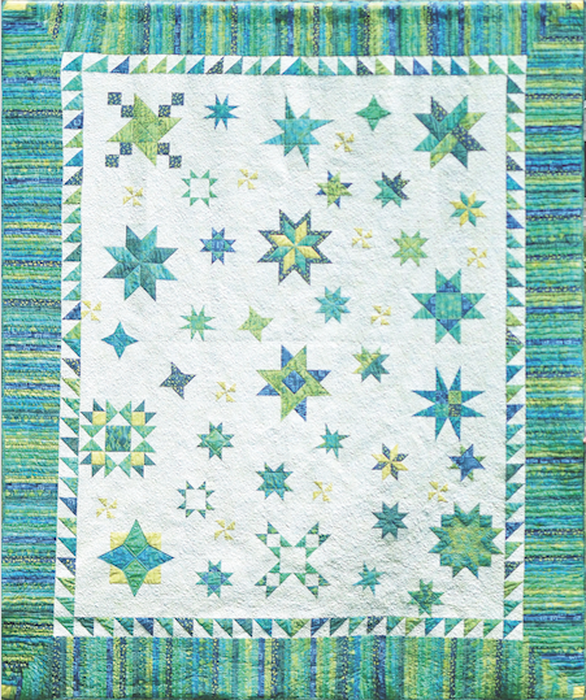 Star Stuff- 90" x 108"
New Block of the Month from Island Batiks. 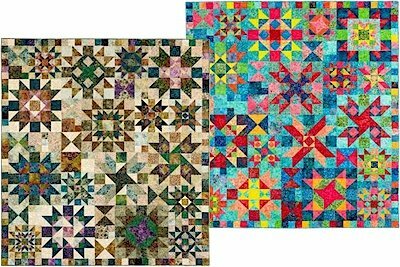 Coming in May 2016, these stunning stars are made using some of our favorite Deb Tucker tools. We will be having a class on using the tools and tricks for completing each monthly section. Class date TBD. 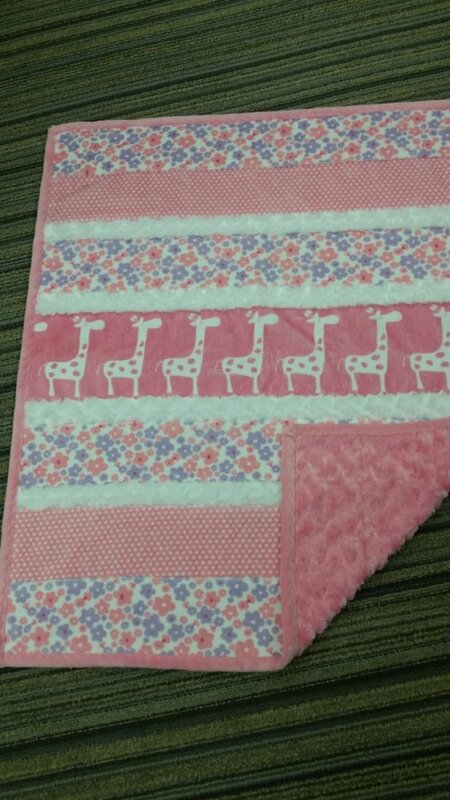 Sign up today for this lovely batik quilt. Shown in the lime colorway, but Gwen worked with the pattern designer at fall market and choose another gorgeous set of batiks in reds, oranges, purples and yellows (think sunset!). Be sure to let us know what colorway you would like! 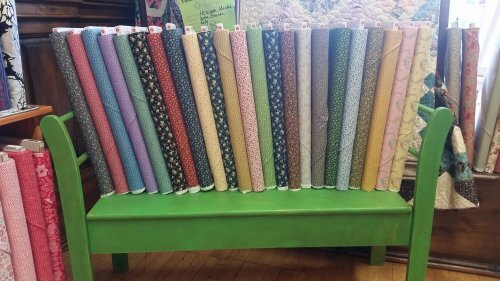 Here are just a few of the new things... Minkee Dot Wide Backs, Minkee Kits, Vintage, Lovely Neutrals, Little House Complete Collection is here! !